I think this music is perfect for a Saturday night. It is intimate, sometimes moody and sometimes sunny. You will note that several of the tracks are available for free download, although we always encourage you to buy the physical product to support artists you like. The Puddle is George D. Henderson (Guitars, keyboards & Vocals), Gavin Shaw (Bass), Al Starrett (Keyboards, viola), and Ian Henderson (Drums). They currently are based in Dunedin and Auckland. I suggest that you spend some time with their Bandcamp page linked below. You'll find all of their recent albums. It is great moody Saturday night music. Oh, and When You Motor Away gives a tip of its driving cap to former June Brides frontman Phil Wilson for the suggestion to check out The Puddle. Scandinavia boasts a plethora of quality indie bands, but in my opinion Finland's Cats On Fire are second only to The Raveonettes. 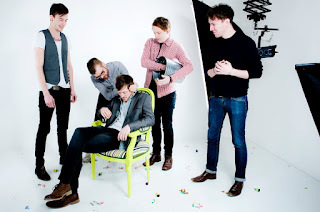 The band crafts hook-filled, almost ornate, guitar pop with literate lyrics. 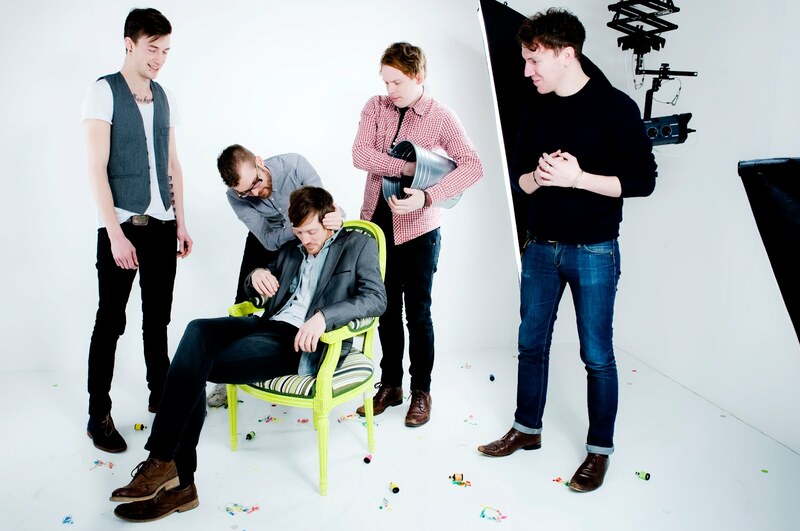 The band's 2009 LP (Our Temperance Movement) was among my favorites that year, primarily on the strength of the six best tracks, so I was enthusiastic about the opportunity to listen to their new album, All Blackshirts To Me. After a number of spins this week, I have concluded that the new album, overall, is stronger than 2009 effort. Cats on Fire knows how to make an impression from the opening note. Track 1, "Our Old Centre Back", is a gorgeous track that talks about soccer/football and life, ending with the bittersweet decision of the girl to be with the centre back rather than our narrator. Musically, the song builds from a gentle acoustic guitar to full instrumentation, pauses an 1:48, and builds again. The second track, "My Sense of Pride", provides the album's first single. A song of regret by a somewhat beaten-down narrator reminiscent of the biblical prodigal son, the track delights with an upbeat melody. The music is urbane, varied and sophisticated. The songs display graceful changes of pace and texture. The lyrics are interesting and Mattias' vocals are top quality. And as impressed as I was with this album at first listen, I am even fonder of it after multiple listens. Cats on Fire are Mattias Björkas (acoustic guitar, vocals), Ville Hopponen (electric guitar, backing vocals), Kenneth Höglund (bass guitar), Iiris Viljanen (keyboards, backing vocals), and Yrjö Ylijoki (drums). As with their peers Belle & Sebastian and Wake the President, this band has mastered the ability to craft and perform a song that pulls you in and surrounds you until the final note. You shouldn't deny yourself that joy. All Blackshirts To Me was released this week on Matinée Recordings in the US and Soliti in the Nordic countries. Perhaps the highest compliment a song can receive is being recorded by others. So what does it say if a song has been covered by more than 100 artists, including Ella Fitzgerald, Marvin Gaye, Stevie Wonder, Wilson Pickett, James Brown, Nick Cave, and um, Leonard Nimoy? Hebb wrote the song shortly after November 22, 1963 in response to his older brother being murdered in Nashville on the same day JFK was assassinated. Hebb was looking to ease his own pain, trying to somehow create a brighter day. The song was not recorded by Hebb and released until 1966, at which time it garnered so much respect that the Beatles tabbed Hebb to be the opening act on their 1966 American tour. As many times as I've heard it, I never cease to be amazed at the clarity of this vocal and composition. Like "My Girl", it sounds so simple and yet has so much going for it, you can't tire of it. Truly perfect. And even with this all star roster of artists who recorded their own versions, some among the best singers of all time, no one ever took this song away from Bobby Hebb, his version remaining by far the best known. With guitars tuned so low it sounds like they're strumming bridge cables -- gloriously distorted bridge cables -- set against soaring, perfectly keyed vocals, there are moments on this beautiful and intense record that almost sound like Mass. Indeed, the Little Rock quartet's highly anticipated debut, following on the buzz of their 2010 three song demo, feels gothic -- not in the sensitive, eyemakeup sense, but in the traditional, anti-classicist sense. Simon Schama captures it when he quotes Bishop Warburton: " 'Our Gothic ancestors had juster and manlier notions than modern mimicks of Greek and Roman magnificence,' for they were more concerned with spiritual exaltation than civic pomp." Pallbearer's brand of doom metal is gothic in that it's earthy and slow, but that's merely redolent of the genre conventions. On Sorrow and Extinction, though, there's always something else pushing it further, whether it be singer guitarist Brett Campbell's Osbourne-meets-Halford wail or the beautiful, linear leads strewn throughout these five epic-length songs. Again, you'll get that gothic, arboreal sensation taking in the last track, "Given to the Grave", where waves of bar chords support a slow lead, then retreat to a quiet guitar and drum interlude before exploding into the most chaotic and unhinged segment of the record. The double solo of the last three minutes could pass for a couple of Steve Howes ripping leads across the end of "Siberian Khatru." Brilliant. Pallbearer are brought to us courtesy of Ontario's Profound Lore Records, which consistently produces some of the most interesting, challenging, yet listenable extreme music being recorded today (think Yob, Agalloch, Krallice). Go see Pallbearer live. Not a lot of dates right now, but you can check them at the Pallbearer website. Here's a very decent live video of the band playing the album opener, "Foreigner". Japandroids release "The House That Heaven Built" from upcoming album. My favorite album of 2009 was the debut LP from Vancouver, BC's Japandroids, Post-Nothing, and there really wasn't anything much competing for that oh-so-coveted distinction. It has stayed in heavy rotation, joined by the series of very fine singles released since. 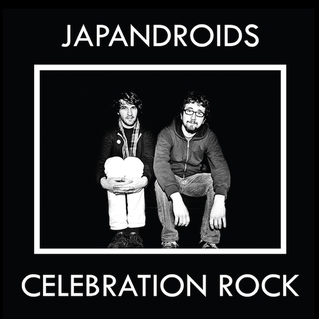 A couple of weeks ago we got the happy report that the new Japandroids album, Celebration Rock, is finished and set for release on 5 June on Champaign's Polyvinyl Records. I was too busy at the time at my ostensibly profit-oriented daytime occupation to sound the clarion here, but now I will. Hell yeah. Today the web is percolating with a new song from the album that Brian and Dave are letting us hear early. It's called "The House that Heaven Built", and it's perfect. To quote Keats, 'that is all ye know on Earth, and all ye need to know." Of course, you can stream it directly from Pitchfork because they're the ESPN of hipster couture. Over here, at the ghetto of, err, hipster couture, you have to click on the band's Soundcloud page. They're hitting the road in May. Get out of the house and see them. For me, Burned Youth -- a wonderful nugget of raw, '60s influenced rock -- came out of nowhere. Well, that's not completely correct as it came from the label. But Lantern is a relatively recently formed project based in Philadelphia and it wasn't on my radar. Lantern is Zachary Devereux Fairbroter (with help from Emily Robb and Daniel Miller). Apparently Burned Youth consists of unreleased recordings Fairbroter made when touring with his former band, Omon Ra. I think that it previously was available only as a tour tape. However, the Night People label released it earlier this month. WYMA is in the tank for The War on Drugs whose latest CD Slave Ambient dominated our best of 2011 lists here. While all of the KINK footage is well worth watching, nicely filmed and recorded, be sure in particular not to miss the cover of the Waterboys' "A Pagan Place". The War on Drugs are currently touring with Sharon Van Etten, whose terrific new CD Tramp we reviewed yesterday. New Cassettes, a pop/punk outfit from Northampton, has a new album, Winterhead, coming out next week (we expressed our admiration in January - link here) and they're on tour in the eastern half of the USA with fellow WYMA favorites We Were Promised Jetpacks (check out Rocksteady's review here). Young Prisms - "Floating In Blue" Video from stereogum on Vimeo. Young Prisims is Gio Betteo, Matthew Allen, Stefanie Hodapp, Jordan Silbert, and Ashley Thomas. This album is releases on Kanine Records today (March 27). 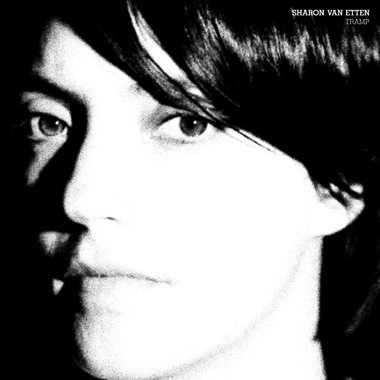 There is so much hype on Sharon Van Etten and her new CD Tramp, that I almost hesitate to weigh in since this blog usually highlights artists who have a much lower profile. But as our masthead declares, at this blog we write about music we like. And I like Tramp a lot, although I didn't realize it at first. What is going on here is subtle magic and it took me awhile to get it. These songs are confessional, articulate, and smartly produced by Aaron Dessner (a member of WYMA favorite The National). What stands out most are Van Etten's multi-tracked vocals, which create striking harmonies that draw you in for a spellbinding effect. Van Etten's beautiful voice and this recording technique greatly add to the power of the songs, and manage to dial things up dramatically without adding unnecessary noise or layers of instruments that would threaten the immediacy of the vocals and the compositions themselves. But quiet does not equate here with any lack of intensity. Tramp does a slow burn and will grab you by the throat. As with peers such as PJ Harvey or Cat Power, there's real power in this kind of fearless singing, candor, and tuneful elegance. Van Etten began her music career while a student at Middle Tennessee State University, not far from Nashville. She now lives in Brooklyn where Tramp was recorded. Hard to find many better locales than Nashville and NYC to find your songwriting voice. Van Etten seems fully formed as an artist on Tramp, taking a big step up from her previous work which oozed with the potential fully realized here. The level of confidence shown by Ms. Van Etten in both the writing and performances throughout Tramp is a rare thing. Tramp is a complete record, best enjoyed in its entirety, the whole in many ways grander even than the sum of its parts. This record is going to populate a great many 'Best of 2012' year end lists. Very highly recommended. If you like it, visit the Bandcamp site linked below and engage in international commerce. Never has the sound of breakup, disappointment and regret sounded so damn good. Instead of mopery and tears, La Sera's Sees the Light given us melody, wry lyrics, girl-group vocals and good musicianship. Since I don't tend to lyrics first, I didn't even think of it as a break up album when I was listening for the first time--until I glanced at the song titles. "Love That's Gone", "Break My Heart", "It's Over Now", and "I'm Alone" can make even a dense guy like me get the point. La Sera is Katy Goodman. Katy's other band is Vivian Girls, which I mention here only because of the contrast it's sound provides to Sees the Light. While Vivian Girls have been at the forefront of the Brooklyn garage pop/shoegaze tidal wave, this album stakes out its pop claims from the start via the slow burning "Love That's Gone". A song of lost love that lures you in, and then delights you with great vocals and delightful guitar work. Sees the Light succeeds admirably on at least two fronts. First, it delivers a great set of songs. Second, the album reveals Katy to be an excellent pop artist. And this excellence goes beyond writing the melodies and delivering the vocals. The lyrics, pace, and instrumental textures are all top notch. There is plenty of variety, too. For example, "Please Be My Third Eye" has a chunky guitar riff, "I Can't Keep You On My Mind" has a fuzzed noise pop sound, and "Real Boy" has a galloping rhythm and a surfy guitar. This isn't a girl group update; this has the breadth and weight of a mature guitar pop album. Sees the Light is out tomorrow (March 27) on Hardly Art. I highly recommend it.